With 13+ years of practical Search Engine optimization expertise Problab Technologies Pvt. Ltd. Company is assure 100% practical SEO training in Chandigarh. Problab Technologies is a digital marketing Company in chandigarh with a global attendance. Choose a career as a professional SEO and develop your future. Problab Technologies have all professional training with google certification. After completing SEO Training, the trained individuals are offered with the Training Certificate as well as placements. Build assurance and a better understanding of how rank website on first page of Google. Problab Technologies Pvt. 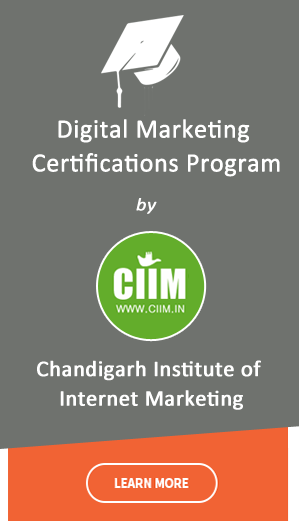 Ltd. , Chandigarh is the best Digital marketing Company in Chandigarh provides SEO course in Chandigarh based upon live projects and latest technologies of SEO, which is 100% Job oriented program. Students will be eligible to make their career in SEO /SMO/ SEM field as SEO Engineer, Project Engineer or SEO Analyst. This is completely a live training, we are having Experts from the Industry and they have 7 to 15 years of Experience in industry. SEO course in Chandigarh is not just to learn how to increase the visibility of your website but is more than that like how to take advantage of PPC, online advertising, we do train our students in Google analytics, making professional document based on competitor analysis, creating marketing strategy and digital strategy. Thus this course will train you in making effective strategies, tools and techniques for online marketing. SEO Training in Chandigarh. Duration of this training program is 45 days including live projects. 5 days classes in a week and 2 hour Practical class per day. Weekends classes are also available for for working students. Why Choose us for SEO Training in Chandigarh? ISO certified and incorporation Companies Certification. Live training based on Real Projects. Provide study material e notes and e books. Course : Seo (Search Engine Optimization) Training in Chandigarh. Duration : 3O – 45 Days, SEO Training in Chandigarh.